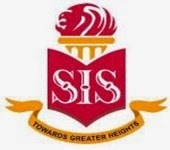 SIS (Singapore Style School) began in its small and humble premises in North Jakarta with minimum facilities. Then the Asian financial crisis hit and potential sponsors and funders turned away. The riots in 1998 saw the school’s enrollment coming down. It was here that the decision was made to move the School to the south where the expatriate community mainly resides.